Cutest Cabin ever! 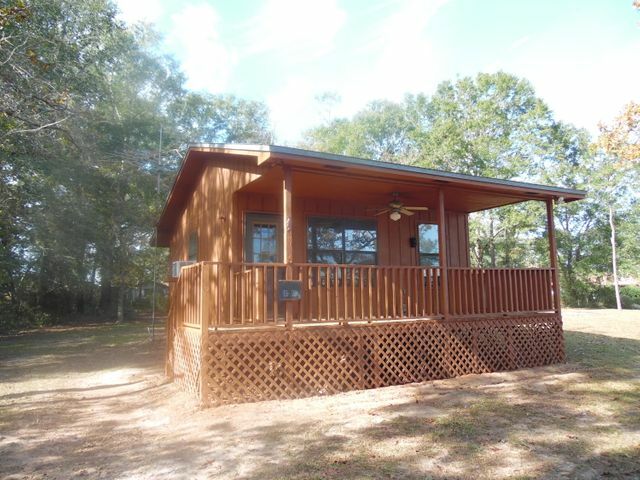 This one bedroom and one bath cabin has everything you need for an economical place to live or fisherman's cabin. A one year old window/air heat pump and NEW roof a year ago. Has a metal storage building and 2 nice level lots, a beautiful water view of Lake Juniper. Juniper Island is a very special place with very few homes with fishing rights. The public launch is within 1/2 mile, complete with picnic tables and bathrooms for your family. Note again, there are two (2) lots included in this price tag with a RV power pole hook-up for your family/friends with campers to come and join you. Makes a good reunion spot for families and memories, or 'home base' for full-time RV owners. This will not be here long, so please call today! Legal Description: Legal Description is listed under Document Tab.